Fill each day in just your own way - Maybe begin with a lazy lie in or a family Wake 'n' Shake session. It could be a morning in the brand new refurbished indoor pool complex, or taking a boat out onto the lake. Feeling peckish? You'll be spoilt for choice with a Cafe Bar & Grill, Tavern Inn, Fish and Chips and so much more. 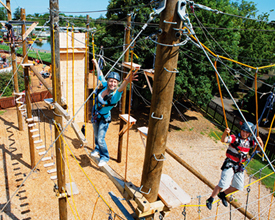 Then head off to try the Climbing Wall with Abseiling & Power Fan, or relax in the luxury Spa. When night falls, head off to one of the ShowBars for an evening of family fun entertainment, perfect for everyone. 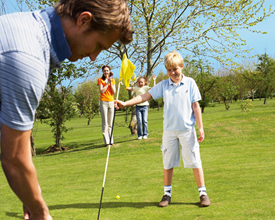 Haggerston Castle Holiday Park offers the following facilities. 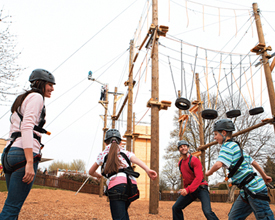 Haggerston Castle is a truly impressive location, in the very best of Northumberland. Haggerston is located in an historic area of castles and magnificent gardens with heritage around every corner which is unique among Northumberland Caravan Parks. In fact there are more castles here then anywhere else in Britain. Walkers and picnickers can enjoy Areas of Outstanding Natural Beauty at the North Pennines and Northumberland Coast, and the rolling Cheviot Hills. There are also many attractive fishing villages and little seaside resorts to visit. Plus - of course - the many dramatic historical buildings. Discover the magic of Alnwick Castle the backdrop to children's favourite �Harry Potter'. Visit Holy Island the famous island of Lindisfarne with castle and priory is reached by a causeway or try a walk in the 398 sq. miles of beautiful windswept hills that is the Northumberland National Park. fittings. Microwave oven. excellent value. 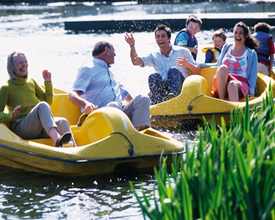 Have you been to Haggerston Castle Holiday Park? Please submit your review so that others can benefit from your experience. Important note: Information provided here about Haggerston Castle Holiday Park is based on our best knowledge. However, please check with Haggerston Castle Holiday Park before booking to ensure that you have the information required. 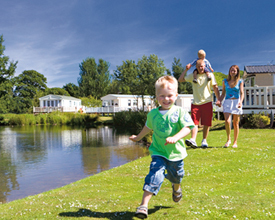 Reviews are the sole views of the contributor and do not necessarily represent the views of CampsitesandCaravanParks.com or Haggerston Castle Holiday Park.